The Society for Immunotherapy of Cancer's (SITC) 2017 awards recognized the lifetime achievements of a key leader, as well as support the advancement of early career scientists and up-and-coming researchers in the cancer immunotherapy field. 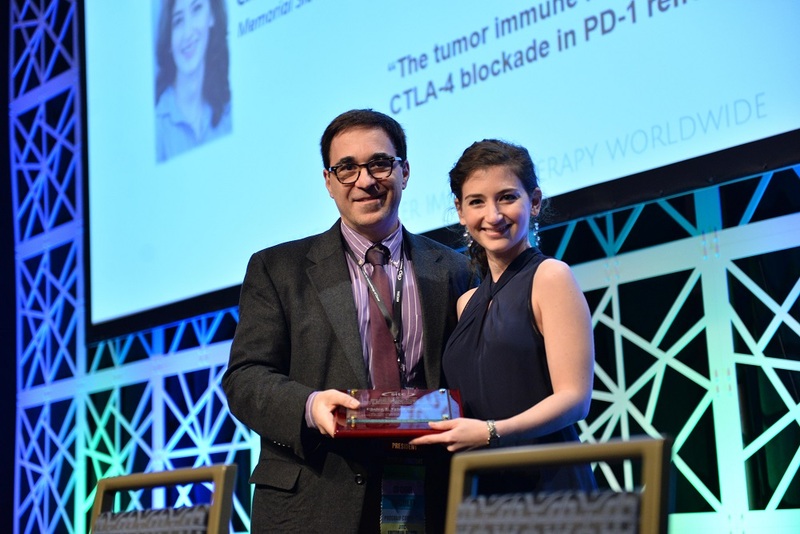 In celebration of the society’s 32nd year of advancing cancer immunotherapy worldwide, SITC presented 32 travel awards to young investigators recognizing excellence in novel research, providing young investigators with the experience necessary for successful careers and acknowledging the need for the next generation of cancer immunologists to engage with luminaries in the field. All awards were supported by the Forward Fund. To learn more about past SITC award recipients, visit SITC Cancer Immunotherapy CONNECT. 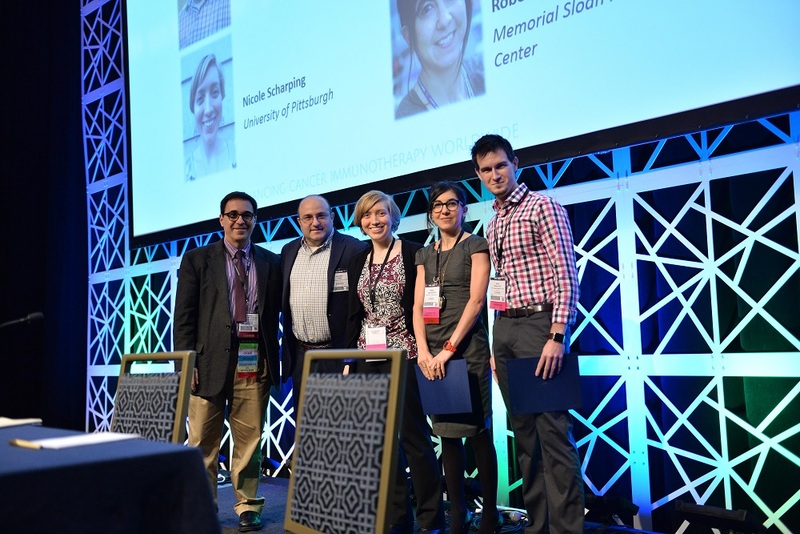 The Award Ceremony featured recipients of the 2017 Young Investigator Awards, 2017 Presidential Award, JITC Best Paper Award, Connect-a-Colleague Award, as well as the recipients of SITC's 2017 fellowships. In memory of past society president and charter member, Dr. Richard V. Smalley, SITC is proud to present the Richard V. Smalley, MD Memorial Award each year to a recognizable clinician or scientist and luminary in the field that has significantly contributed to the advancement of cancer immunotherapy research. Learn about the 2017 Smalley Award recipient, Paul M. Sondel, MD, PhD. Also, click here to view past recipients. SITC was proud to offer the 2017 Cancer Immunotherapy Fellowship Awards. 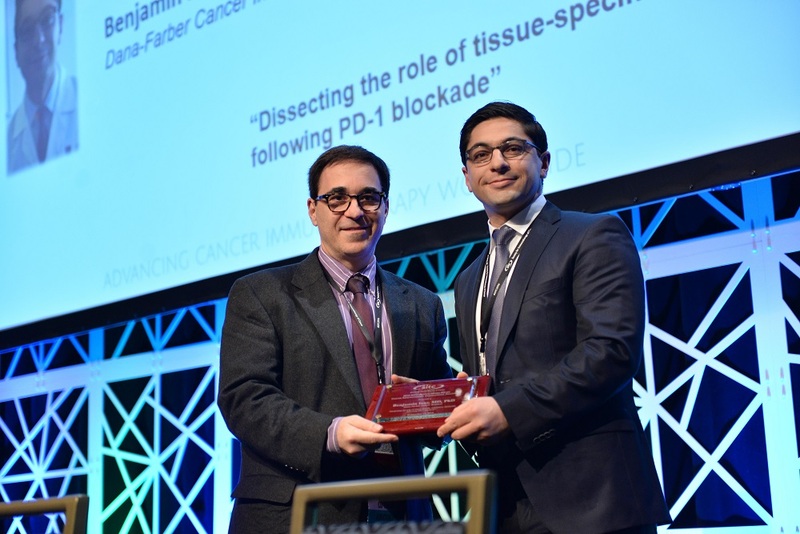 The Fellowship Award program was established through SITC's Forward Fund to support the development of young investigators in the field in order to cultivate the next generation of cancer immunotherapy experts. Recipients were be announced in the summer of 2017. Beginning in 1991, SITC established the Presidential Award to recognize the young investigator deemed to have the most outstanding oral abstract presentation at the SITC Annual Meeting. From there, SITC expanded its award opportunities and created the Abstract Travel Awards in 2008. Now in 2017, SITC will offer 32 Young Investigator Awards, all recognizing excellence in novel research and providing young investigators with the experience necessary for successful careers. *All Young Investigator Awards required SITC membership to qualify. Renew your dues or apply for SITC membership. The JITC Best Paper Awards celebrated excellence in scientific research and are awarded to researchers demonstrating leadership in the field as well as innovation and high-quality execution and discussion in their manuscripts. JITC Best Basic Science Research Paper - Articles nominated in this category present innovative research in basic medical sciences that have a direct relevance to future research in clinical medicine. JITC Best Clinical/Translational Research Paper - Papers in this category present clinical research that has a clear potential to optimize patient care, with particular emphasis on high quality randomized controlled trials, novel combination treatments, therapies, novel diagnostic or prognostic insights and new insights into mechanism of action. Launched in November 2015, the Connect-a-Colleague campaign was designed to encourage members to personally reach out and invite potential members to join the society. An online tool was created for members to refer multiple potential members at a time. New members were also encouraged to identify SITC members who referred them for membership.